The Roseneath CarouselRecord Owner? Log in. A 1934 Wurlitzer 125 Military Band organ, complete with paper rolls, ushers out the nostalgic music. After the Carousel left the Parker plant, gaps appear in its history. 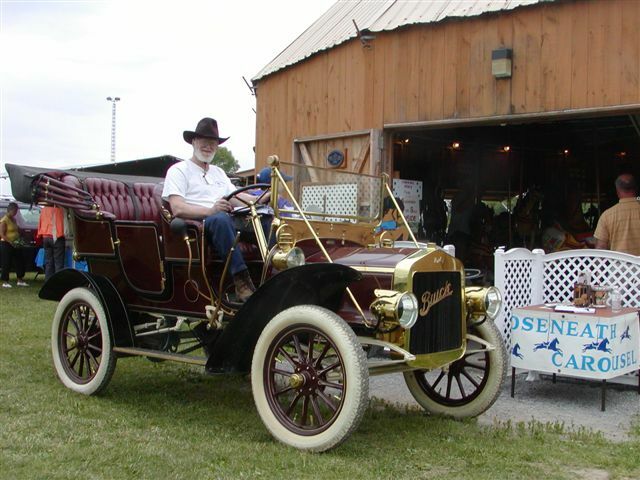 Eventually it surfaced at Mohawk Park in Brantford, Ontario, where directors of the Roseneath Agricultural Society found and purchased the machine for $675.00 in 1932. 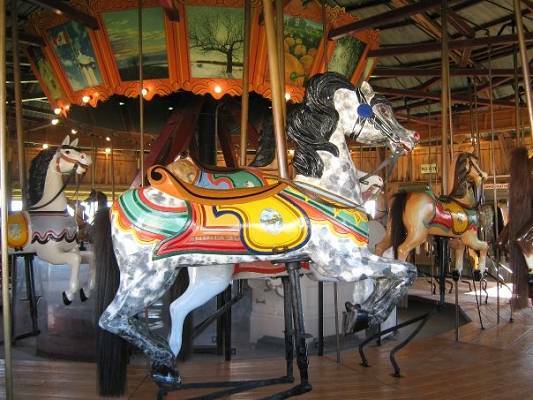 The Carousel Restoration committee formed in 1986 and began a massive $400,000.00 fundraising campaign to restore the relic to its originial condition. 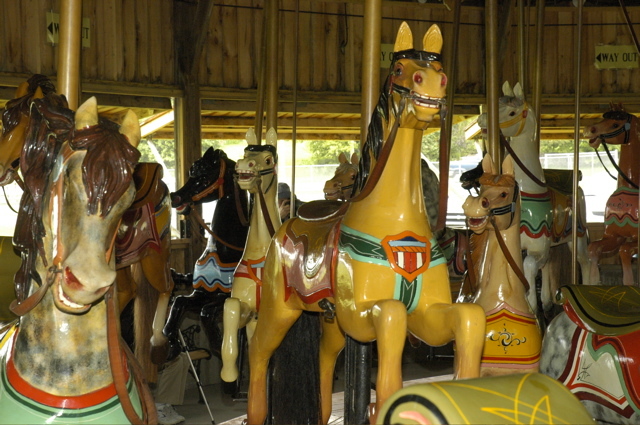 July 17, 1993 the museum-quality, rideable carousel re-opened in its sixteen-sided building(which had been constructed around the carousel upon relocation to the Roseneath fairgrounds in 1932). In 1998, significant repairs were needed for this protective building. $25,000.00 installed a new foundation, cement flooring and new exterior boarding replacing those destroyed by age. Fundraising continues and so does the fun! Renovations are still required to make the building climate-controlled to protect the restored Carousel. Your donation will assist us in our efforts to preserve and operate the Carousel a (precious reminder of our roots in rural Ontario. 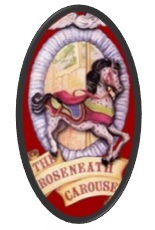 As you ride the Roseneath Carousel, round and round, close your eyes and revel in a timeless musical journey through history! It promises to an enjoyable experience that young and the not so young will remember for years to come. Have something to say about The Roseneath Carousel?